Naya: Thank you for listening to Public Health Behind the Scenes. 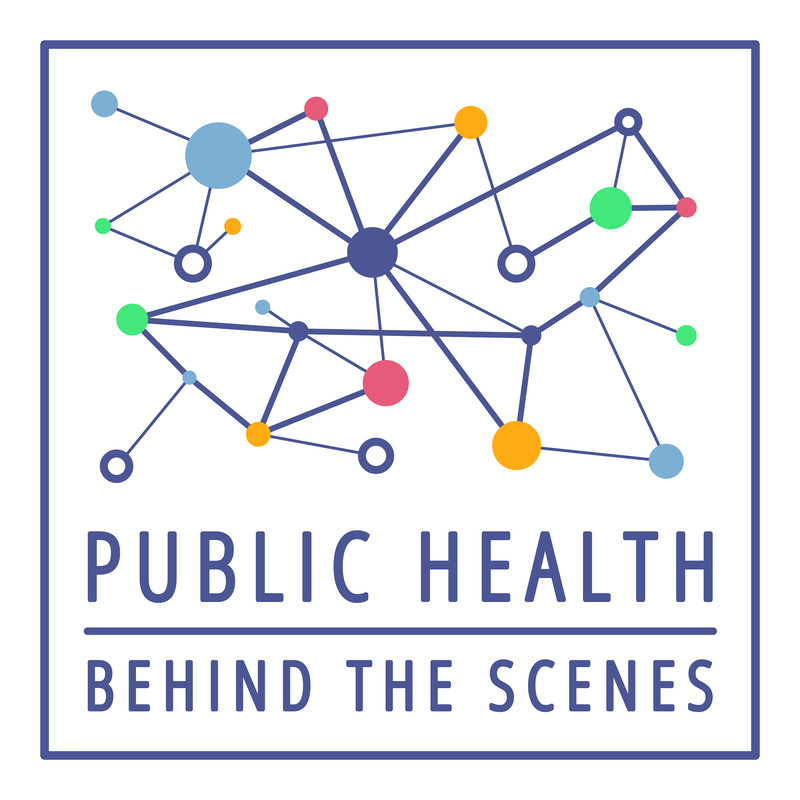 In this episode we look at why sleep health is a public health issue. Jessica: To give you an idea of the pervasiveness of sleep deprivation and disorders, here are some stats. 25 percent of US adults report insufficient sleep or rest for at least half of every month, and according to the NSF, only 42 percent of adults report getting enough sleep. Natalie: And 4.7 percent of adults reported nodding off or falling asleep while driving at least once in the preceding month. About 50-70 million US adults suffer from chronic sleep or wakefulness disorders. Just an FYI: the population of the U.S. is 318 million – so that’s at least 15 percent of adults. Naya: We first started thinking about the issue of sleep and public health when we were talking with our colleague Julea Steiner. She’s a clinical assistant professor at UNC Gillings, and she also serves on the National Institutes of Health Sleep Disorders Research Advisory Board. Jessica: Julea became a passionate sleep health advocate after being diagnosed with the sleep disorder narcolepsy. Julea: Narcolepsy is a serious neurologic condition where the brain’s ability to control the sleep-wake cycle is impaired. I think a lot of people think they know about narcolepsy because they’ve seen it portrayed inaccurately in pop culture as this comical episode where somebody is fully alert and active, and then they suddenly fall asleep in their dinner plate or while they’re walking down the street. But this really isn’t what happens in narcolepsy. It’s a much more complex and invisible disorder where the boundary between wakefulness and sleep becomes blurred—it’s a bit like being stuck between both worlds. Before I was diagnosed with narcolepsy I often felt like I had been awake for 2-3 days at a time. I was very sleepy during the day, and I had a lot of trouble with memory and concentration, but then I couldn’t sleep well at night. I also experienced vivid and frightening dreams, along with sleep paralysis— so I might a see a ghost-like figure in the room or think that there was an intruder, but I was unable to move or call out for help. I was in a constant state of exhaustion which affected every part of my life and this went on for many years before I was diagnosed, so I really understand the profound consequences of poor quality sleep. Jessica: So let’s dig deeper into this sleep issue. Sleep disorders, like narcolepsy, are clearly a serious health problem, and we all know what it’s like to feel sleepy from time to time, but what about insufficient sleep as a public health issue? Julea: We place a lot of emphasis on nutrition and exercise, but sleep is just as critical to our health and wellbeing. There are studies being published every week that show the benefits of proper sleep in every part of our lives, from health, to our job performance, our relationships, creativity, leadership, our ability to handle our stress and anxiety, the list just goes on and on. Insufficient sleep is associated with all kinds of chronic diseases and conditions like diabetes, cardiovascular disease, obesity, depression, not to mention playing a role (a major role) in accidents and injuries. And all of these things are considered public health priorities, so as a public health professional and someone passionate about sleep health, I started to wonder: Why aren’t we looking more closely at sleep as a promising public health intervention? Dr. Punjabi: Sleep is a biological function that is no longer considered to be a passive state. We really believe and have good evidence from animal, cellular, and human studies that sleep is an active biological function that has a role that controls a variety of different functions that impact how we end up feeling, how we end up performing, and what happens to us as we age. Natalie: That’s Dr. Naresh Punjabi, a faculty member at Johns Hopkins University. Dr. Punjabi: Sleep is vital for our normal level of alertness, everyone knows that chronic insufficiency of sleep or sleep depriving yourself can increase daytime difficulties with maintaining alertness which can increase risk for motor vehicle accidents, poor job performance, so just not even sleeping regularly can impact what happens in the daytime. Naya: Exactly! Some of the world’s worst disasters have been caused by insufficient sleep. Dr. Punjabi: Sleep is not just a biological function that can be quantified in a number from the standpoint of how many hours you get, it’s not just quantity, it’s quantity and quality of sleep that really determines good sleep health. Quantity obviously we can change, it is a problem the NSF has documented that we as a society, particularly Western society, have gone down progressively on the number of hours we have slept per night. This problem is even worse when you start looking in other countries where there is not as much awareness of the importance of normal sleep and people are really sort of leveraging that 24/7 clock in trying to optimize what they need to do for work, or personal entertainment, everything from television to the Internet. Jessica: Especially for students or people with a stressful job, any amount of anxiety can create difficulties sleeping. Your sleep cycle also varies with age, and as everyone probably knows, changing your sleep cycle is hard. Dr. Punjabi So this is a very common problem on college campuses and during our young adulthood lives that we fail to recognize, that if we are going to be a night owl, you need to compensate for that. And the way we can compensate for that is by either by sleeping in late, or learn and retrain ourselves to go to bed at an earlier hour. Entrainment or readjustment of these clocks is possible, but takes a concerted, systematic and regular habit where we are telling ourselves that it is important to go to bed at the same time every night, just as normal meals eaten at a particular time in the afternoon and the evening are relevant for our general health and weight. Sleep is also very important at the right time. Naya: So we can see why insufficient sleep is a public health issue, but how can we go about reducing the number of people who get insufficient sleep? Julea also gave us some insight into this. Julea: There’s a lot of pressure in our society not to sleep. There’s this idea that getting a good night’s sleep somehow hinders progress and productivity. This idea that sleep is weak. It’s a waste of time. That it’s somehow brave or admirable deprive yourself of sleep in pursuit of some other goal or it’s a sign of dedication to your work. Technology has made the problem worse. There is the expectation that we’re available 24/7. Not to mention the light exposure that we’re getting at night, that we really shouldn’t be getting and that’s disrupting our sleep. But there’s this growing body of sleep science that tells us that the opposite of this is true, and that proper sleep and productivity are not mutually exclusive. In fact, you know, you need sleep to be your most productive. And to sort of be at your best cognitively. But you hear people brag about it. You know, “I only got four hours of sleep a night.” It’s sort of like this badge of honor or something people are in competition with each other over. You know, who got the least amount of sleep, and somehow that person is going to be more successful. But getting proper sleep really makes us better at everything that’s important in our lives. Natalie: I have never pulled an all-nighter, but I’m sure others at the school have or been sleep deprived. [Paul] I think it’s just something we think we’re in control of, instead of the other way around, so it’s the thing you sacrifice first, because you can always catch up on the weekends or there will always be some future way to rectify the account. [Liz] Yes, there were definitely certain semesters where I was a little bit sleep deprived, mostly that was because I committed myself to, I over-enrolled in courses and committed to a million things that made my experience here really wonderful, and I don’t regret it, but it did contribute to some sleep deprivation, one semester in particular. [Undergrad] I’m one of those people that cannot function if I don’t have like 7+ hours of sleep at least, so I feel like ever since high school I’ve been one of those people who’s been like I need to go to bed early and if I have work left to do, I’ll get up early and do work. If I stay up late, I’m not thinking about school, just sleep. [Undergrad] Even though we stress the importance of sleep, like getting your 8 hours a day, we also stress the importance of, which I think is ironic, of working hard. And a lot of times that goes hand in hand with losing sleep, like having sleepless nights, which I think is kind of funny because as successful as we want to be, we also want to be healthy. [Shirene] If I don’t get 7-8 hours, my brain won’t function and I won’t do well, so I might as well get the sleep so that I don’t lose what I already have. [Undergrad] Going off of her, a lot of times we strive for certain hours of sleep, but it’s not possible. Like we just had finals week, and I know so many people, me included, were just getting 3-4 hours of sleep a night and like these are some of your hardest assignments. I’m not exactly sure what we should do to fix this problem, but I definitely think it’s a big deal. Jessica: I love that last comment It clearly states that it’s hard to know what to do. It’s so ingrained in our culture that get little sleep, but probably shouldn’t be. Like Julea said before, it seems like sleep is a possible public health intervention. Naya: To get an idea of what can / should / is being done, we talked to Dr. Michael Twery, who is the director of the national center on sleep disorders research at the National Institutes of Health. They partner with the CDC, institutes within the NIH, and the department of transportation. Natalie: And within the department of transportation, they work with federal motor carrier safety administration, the national highway safety administration and the federal aviation administration. Dr. Twery: Whether it’s highway traffic or aviation noise, these sounds, people who build or live in the area these types of infrastructures often experience sleep disturbance and there’s quite a bit of effort going on to look at this relationship and to mitigate the effects of noise on sleep in many municipalities around the country. Dr. Twery: I think that, you know one of the problems is, right now is, we have some guidelines, and we want people to get enough sleep. But what we don’t understand, and research is needed, is to understand why people don’t get enough sleep. What are the cognitive models, the psychosocial risk factors that individuals take into consideration when making these decisions about or judgments as to when to sleep or how important sleep is to them versus other competing demands on their daily schedule? Naya: And he says that this leads to a need for translation and implementation research. We do know that 7-8 hours of sleep works for a typical adult, but we have no real idea what kind of strategies are needed to help adults actually get those hours of sleep – and this falls to translation and implementation research. Natalie: But to conduct proper sleep research, we obviously need to be able to measure sleep. Kind of like watching the clock when you’re trying to fall asleep, it’s easy to imagine that being in a sleep study would affect your regular sleeping. Dr. Punjabi told us that wearable tech, like Fitbits, etc., has improved this tremendously. This tech makes it possible for individuals to monitor their own sleep, in their own home, and sometimes get quality and quantity data. Surveys are hard to use for sleep, since we can never know exactly when we fall asleep, and exactly how well we slept. Dr. Twery: At this point and time, researchers, we still need more research to discover the panels of biomarkers that would characterize our sleep health. What are the chemistries, there are many chemistries in the body that are closely tied genetically and otherwise, genomicaly and otherwise to our pattern of sleep. And in laboratory research, we are able to see those abnormalities, but we need to develop point of care type of accessibility, so an individual can measure, can get a measurement of their sleep health at home or their physicians can measure their sleep health. And then also, if they make changes to their lifestyle or their physician makes medical recommendations, they can then measure sleep health at a later time and tell whether or not if it’s improved or declined. And without the ability to measure this in a quantitative way, this is going to continue to be a barrier to public health implementation. I think that sleep has been very hard for, in some domains of academia to pick-up because it is a very complex science. It’s not always the, the biology is not immediately obvious and there’s many connecting parts. And at the same time, the science, whether it be public health or biomedical research, is required to be very, very precise and required to have a lot of expertise. But you know, I would encourage members of the public health community to consider where are there sleep and circadian experts and their academic community that can also contact my office and I’d be more than happy to try to connect the dots with other people, because whether you study cognitive function or almost any aspect of health or public safety, sleep is probably modifying the results of your research. It’s probably modifying the success of interventions. People who are well rested can perform better. They can interact with their families better and they will have a lower risk of many different diseases. Julea: I would love to see more people here at Gillings and in the public health community in general begin to incorporate sleep into their research and practice. I think by addressing the sleep epidemic we can impact so many of the major public health issues—and I think it would just be really exciting for us to become leaders in this field. Naya: This episode was produced by Natalie Smith, Branson Moore, (me) Naya Villarreal, Jessica Southwell, and Jennie Saia. Also, big thank you to Dr. Michael Twery and Dr. Naresh Punjabi. Thank you so much for making this episode possible. And, we couldn’t have made it happen without Julea Steiner, thank you all. Jessica: If you like what you heard, tell a friend and subscribe to us on iTunes. Thanks!